Sing America,' in New York City in November 2015. "Oakland Public Library Takes Action Against Islamophobia"
On March 23, 2016, several people witnessed a troubling encounter between a public safety officer and a Muslim woman wearing a hijab at Washington, DC’s Watha T. Daniel/Shaw Neighborhood Library. The officer demanded that the woman remove her hijab, and then threatened to handcuff her if she did not. In response, the woman left the library. The security officer told the media that he believed she was wearing a hoodie, not a “religious hat.” Richard Reyes-Gavilán, executive director of DC Public Library (DCPL), said at the time, “[C]ertainly what happened yesterday is an isolated incident that we regret strongly.” The library pulled the officer from duty, pending an internal investigation. According to community-based organizations and advocates in DC, such anti-Muslim incidents are not isolated. They’ve occurred in schools, workplaces, and public spaces like libraries. Groups including Collective Action for Safe Spaces, Muslim American Women’s Policy Forum, and Many Languages One Voice demanded that DCPL take a series of actions. They called for the library to implement a public awareness campaign, train staff including security officers about Islamophobia and anti-black racism, develop an accessible reporting system for discriminatory actions, and convene a listening session with Muslim communities in DC. Community advocates also pressed the DC government to take action. In April 2016, advocates and residents testified before the DC City Council to raise concerns about the DCPL incident and Islamophobia. In September 2016, the Council adopted a resolution against anti-Muslim bigotry. Internally, DCPL made changes as well. According to DCPL press secretary George Williams, the Shaw Neighborhood Library incident prompted all DCPL public safety officers to receive additional training. DCPL requires all employees to undergo regular diversity awareness trainings encompassing issues related to race, faith, and language access. 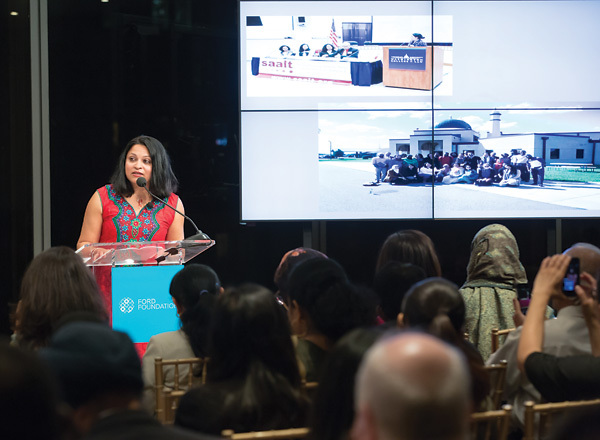 In February 2017, the library hosted a public discussion, “Tackling Islamophobia at Home,” with local Muslim leaders. Are such efforts sufficient to prevent Islamophobia? Particularly since the September 11 attacks, anti-Muslim sentiment has taken many forms. It is often rooted in the inaccurate belief that Muslims and those perceived to be Muslims are terrorists, worthy of suspicion. It leads to one-on-one discrimination in the workplace, restaurants, airlines, schools, and libraries. It extends to public policies that ostensibly advance national security and single people out based on national origin and faith. It targets Muslims and anyone thought to be Muslim, including Sikhs, Arabs, Hindus, and South Asians. The long-term effects of Islamophobia and living in post–9/11 America for these groups are unknown. Some community members have chosen to censor themselves, from changing names to removing articles of faith to refraining from speaking in native languages in public. Black Muslim community members face oppression at multiple levels in today’s society, including police brutality and Islamophobia. Undocumented Muslims, South Asians, and Arabs are afraid that being detained by immigration authorities will lead to national security investigations. Despite this climate, many community members and organizations continue to participate in resistance and solidarity movements. As spaces of learning and inquiry that promote inclusion and access, public libraries can play a critical role in combating Islamophobia. 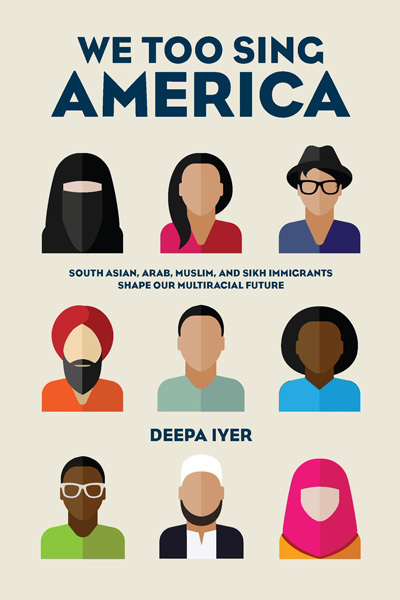 I have seen firsthand how libraries can catalyze important conversations since my book, We Too Sing America: South Asian, Arab, Muslim, and Sikh Immigrants Shape Our Multiracial Future (The New Press), was published in 2015. Since then, I have taken part in various dialogues sponsored by libraries, including the Oakland (CA) Public Library, the Enoch Pratt Library in Baltimore, and the Waldorf West Library in Charles County, MD. These conversations have both brought new patrons to libraries and created a space to discuss topics ranging from racial equity to Islamophobia. At this year’s American Library Association conference, I had the honor of meeting many public and academic librarians who are committed to cultivating brave, non-neutral, and safe spaces for community members of all backgrounds, especially during this time in American history. For more ideas around books and social justice, check out the information developed by the Association for Library Services to Children (ALSC), including the organization’s suggestions for supporting libraries in the post-election environment. 2. 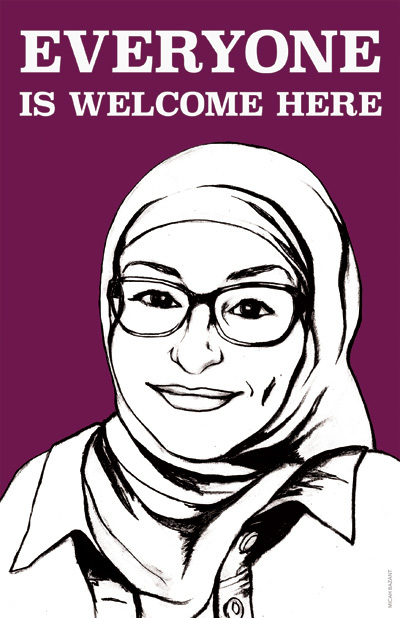 Communicate your values Libraries could develop and publicly share statements of their values around inclusion and nondiscrimination that explicitly mention anti-immigrant sentiment and Islamophobia. Placing these statements online and on the library grounds sends a message to patrons from vulnerable communities that they are entering a safe space. 3. Outreach, outreach, outreach Beyond statements, libraries can open up their spaces for community meetings, youth group conversations, and storytelling sessions. As immigrants, refugees, and communities of color feel uncertain about how they will be treated in various spaces, libraries can strengthen a sense of belonging. Libraries can also reach out to mosques, gurdwaras, and temples to hold information sessions at trusted institutions, and invite community leaders to be on advisory boards and commissions. 4. Incorporate anti-racism trainings In spite of the most effective statements of inclusion, situations will arise such as the one that occurred in DC. It is vital that library staff members receive frequent trainings around anti-racism that cover power, privilege, intersectional oppressions, and allyship. These go well beyond the usual cultural competency, diversity, and implicit bias courses that many of us are accustomed to at universities, corporations, and government institutions. Anti-racism trainings facilitated by local and national racial justice organizations, including Race Forward (raceforward.org) and the Anti-Oppression Resource and Training Alliance (aorta.coop), can enable individuals to spot how power and privilege interact to sustain white supremacist and heteropatriarchal cultures, institutions, beliefs, and policies. During these trainings, library staff could also anticipate how they will respond to various situations. For example, how could your library prevent the situation that arose at the Shaw Neighborhood Library? How would you respond if immigration enforcement officials demanded information about people who take English as a second language classes at the library, in the same way that teachers and school administrators have been asked recently to divulge information about their undocumented students? 5. 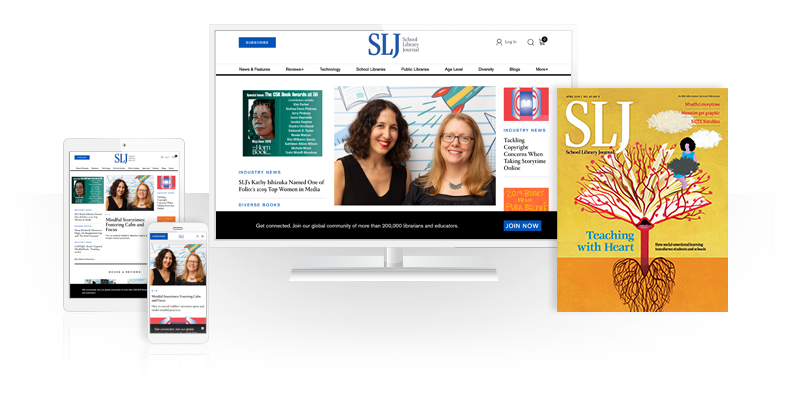 Become a partner in racial equity programs and initiatives Public libraries could also take the step of being engaged in racial equity programs in their jurisdictions. Many U.S. municipalities are directing resources, staff time, and funds toward eliminating racial inequities in their programs, benefits, services, budgets, and policies. Library staff could play an important role in guiding the work of these local and state-level entities. The racial backlash, Islamophobia, and xenophobia facing vulnerable communities today are occurring in the midst of a dramatic demographic transition. By 2043, America’s populations of color will become the majority for the first time in our nation’s history. These demographic changes are already happening. In September 2014, the U.S. Department of Education reported that students of color had surpassed the number of white students in public schools. Additionally, many of our counties and metropolitan areas have become multiracial, where public libraries exist to serve diverse patrons and families. Every public institution in America must be prepared to address the changing racial landscape and the racial realities that come with them. Public libraries can set the standard for how we can cultivate more effective and welcoming spaces of dialogue, inclusion, safety, and equity, especially during times of upheaval and uncertainty. Deepa Iyer (@dviyer; www.deepaiyer.com) is a South Asian American writer, lawyer, and activist. While Muslim, Sikh, South Asian, and Arab community members experienced discrimination well before September 11, the frequency of hate violence, harassment, bullying, and workplace discrimination has increased exponentially since then. Between 9/11 and March 2012, the Equal Employment Opportunity Commission reported receiving 1,040 charges filed by South Asians, Arabs, Muslims, and Sikhs related to workplace discrimination. According to “Growing in Faith,” a report from the Coalition of American-Islamic Relations, 50 percent of American Muslim students in California reported “being subjected to mean comments and rumors about them because of their religion.” In “Go Home, Terrorist,” a 2014 report published by the Sikh Coalition, more than 50 percent of Sikh students reported being bullied. The number rose to 67 percent for Sikh youth who wear turbans. In addition to employment discrimination and schoolyard bullying, Muslim, Sikh, Arab, and South Asian communities experience high rates of hate violence. In 2012, a white supremacist barged into a Sikh gurdwara (place of worship) outside Milwaukee and killed six worshippers and wounded many others. According to a report from the Center for the Study of Hate and Extremism at California State University (San Bernardino), hate crimes against Muslims and those perceived to be Muslim reached unprecedented levels in 2015. The Federal Bureau of Investigation’s 2015 report confirmed that anti- Muslim hate crimes had risen by 67 percent. Sadly, the situation has only gotten worse since the election of Donald Trump. The Southern Poverty Law Center found that in the first 10 days after the election, 867 hate incidents occurred around the country, targeting women, LGBTQ people, Muslims, and others seen as different or un-American. Fifteen mosques and Islamic centers received letters calling Muslims “children of Satan” and a “vile and filthy people” in the weeks after the election. The attacks on mosques have continued to increase in 2017, with CNN finding that nine were targeted by threats, vandalism, or arson between January and July. Our national security apparatus, immigration policies, and even the rhetoric of policymakers have exacerbated the myth that all Muslims are dangerous. For example, in 2012, the Associated Press reported on the New York Police Department’s practice of spying on Muslim communities, sending “mosque crawlers” to listen to the sermons of imams, monitoring soccer and cricket games in public parks in Brooklyn and Queens, and spying on Muslim students associations on college campuses. In addition, federal policies such as special registration—requiring nationals from 25 predominantly Muslim-majority countries to report to immigration authorities—have been criticized as enabling profiling on the basis of religion and national origin, and leading to the detentions and deportation of thousands of people. Elected officials have also used xenophobic and anti-Muslim rhetoric to support discriminatory policies.